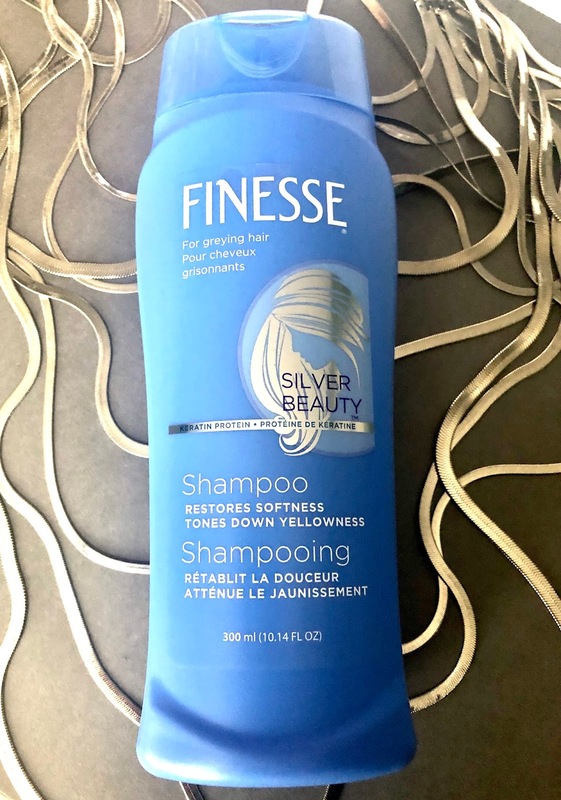 One of the most ask hair questions I get is, how to I maintain my hair so shiny, soft and so white? Well, if you have been following my hair journey, you know that I had a little obsession in changing up my pixie hair colour very often and always going from the most blackest black to very light hues of lavender, pinks and reds. I could never achieve that right shade of platinum blonde or almost white due to the fact that my hair was so over processed by bleach that anytime I used a blue or purple shampoo to tone brassiness, my hair turned light blue or lavender from the pigments of the shampoo. 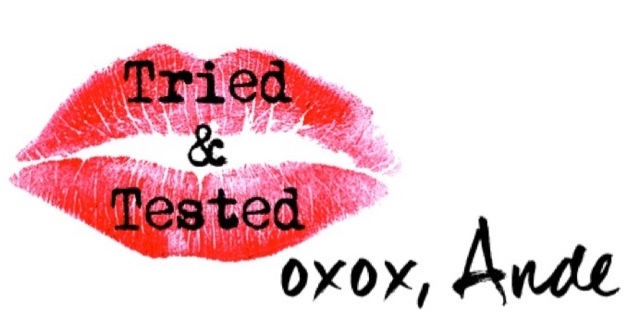 It was very frustrating, I wanted white platinum hair! 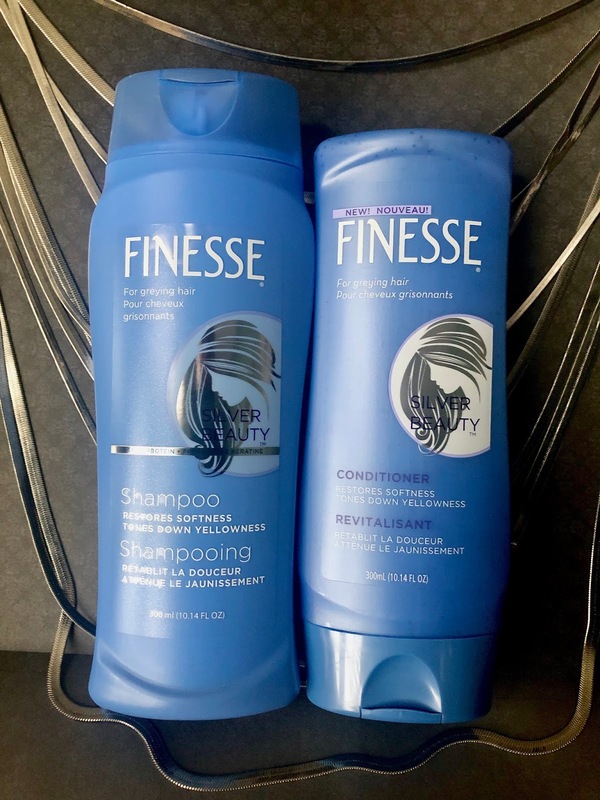 and not only did these more expensive shampoos gave my hair this blueish lavender hue to my hair, but also they were very drying. The FINESSE SILVER BEAUTY SHAMPOO AND CONDITIONER is targeted for women and men that have natural silver growth to full silver hair and processed hair. These are so gentle and most effective! 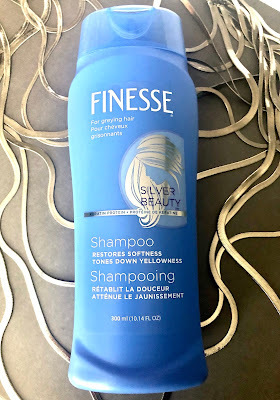 They deposit the right amount of blue/purple pigment to tone any yellow or brassiness that my hair might have and they have the most lovely fresh scent. My hair is left so smooth, so soft, so shiny and so hydrated! Truly has kept my hair looking amazing and my colour has maintain its best. I wash my hair about every 3 days and I've been using this shampoo and conditioner for about a month now and every time I use it my hair is revived! 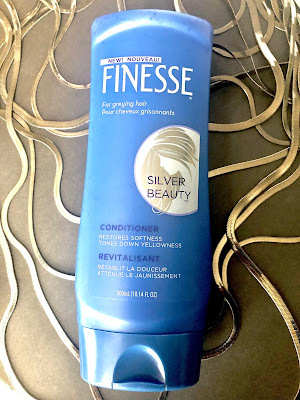 The Finesse Silver Beauty shampoo and conditioner are both available at your local Walmart or Shoppers Drug Mart location.